DK, Greenland, North Coast, Musk Ox, 2007, IMG_4877CU1 - I saw about twenty Musk Oxen on the north coast of Greenland. The one in this photograph fled as we approached. I later searched for him. In this scene, he noticed my presence. I stood as still as I could. 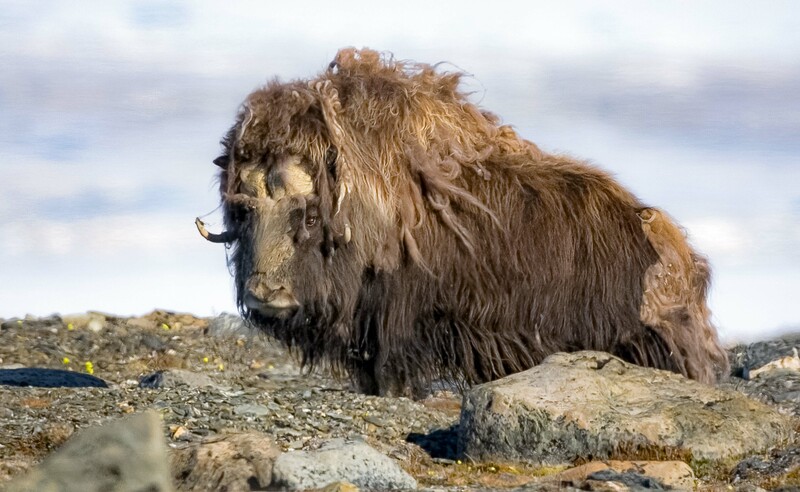 I was told by the pilot that the Musk Ox were more dangerous than the polar bears.